Quater Twist WSH did us proud at the Royal Agricultural Winter Fair! 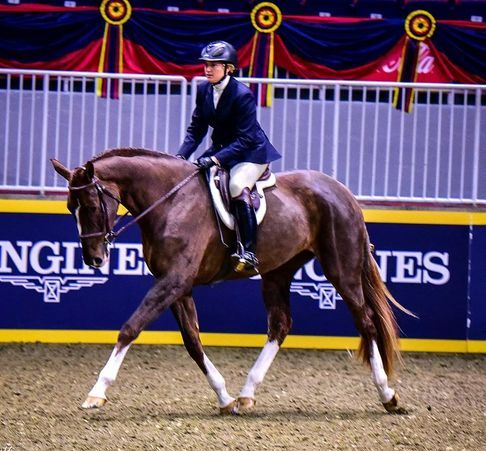 She competed against an exceptional group of 3 year old horses and handled it like a pro! She strutted her stuff and placed 6th in the Lieutenant Governors Class, with many compliments from auditors and fellow competitors. 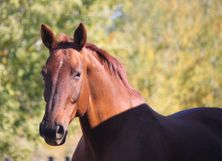 This special girl will be retained by us to continue her under saddle training as a dressage horse and future broodmare. She will have a well deserved vacation over the winter to continue to grow and develop! This lady is still quite growthy, and at 17h already she needs more time to fill out, we expect her to be something really special with more time! Our 3 year old mare Quater Twist WSH by Quaterhall/Glorioso Noir has officially qualified to compete in both the Governor Generals and Lieutenant Governors Cup Classes at the Royal Agricultural Winter Fair! We are very proud of this mare and how well she has handled herself throughout the qualifying process. 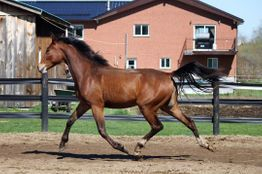 She has a fantastic temperament and super rideability for such a young horse with only a few months time under saddle. 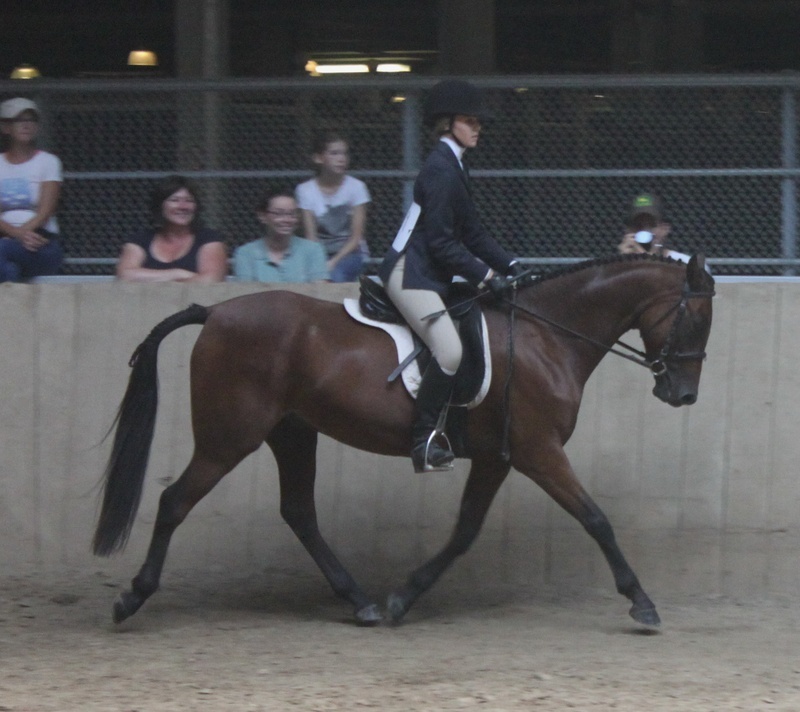 She was up against some exceptional young horses and did a great job. Special thank you to Garry Roque for handling her in the Governor Generals class qualifier. If you're heading down to the Royal on Nov 9th or 10th please feel free to visit us there and meet Q in person! 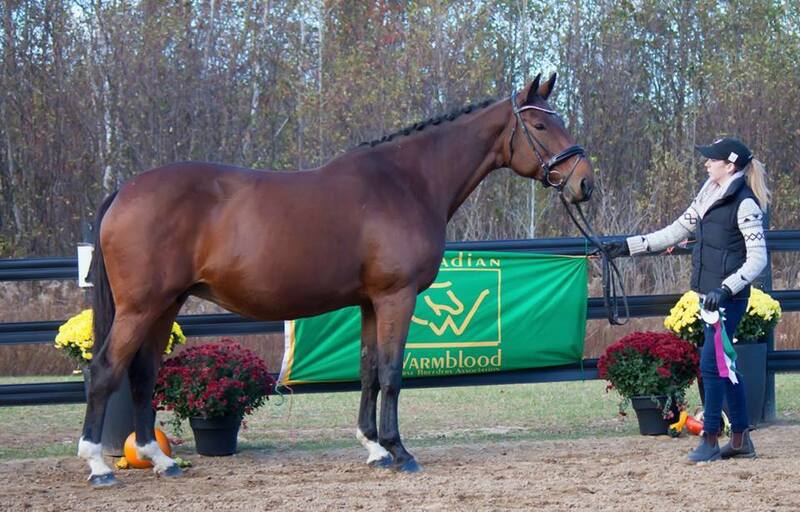 We went to the Hanoverian inspections last week at Parkwood Stables and we were so happy with how both boys behaved! 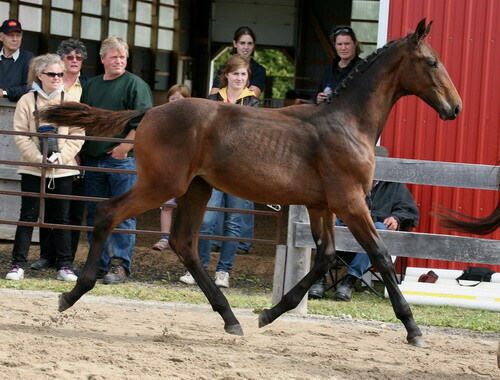 The judges had a lot of nice compliments on our foals movement and behaviour. It was a beautiful day and a beautiful venue, thank you to Parkwood Stables for hosting such a lovely inspection! Our second Quaterhall foal has arrived! In typical Gold Digger fashion she likes to deliver very early, at just 313 days pregnant! Gold Digger (Glorioso Noir/Merlin) delivered a flashy and absolutely huge colt! We are grateful he is healthy and happy, he is such an outgoing guy who already loves attention! This little man is available for sale, please inquire if interested. Our first Quaterhall foal has arrived! This boy is quite the looker, and such a sweet temperament! 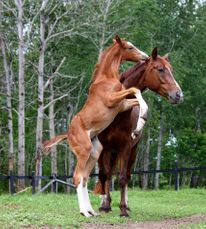 Our mare Wruby (Wellesley/Rotspon) delivered him at 354 days pregnant! He was fully cooked and ready to see the world at birth, such a strong boy who was up and nursing by 1.5 hours old. We are so happy he is healthy and correct, as is his new owner who purchased him in utero. 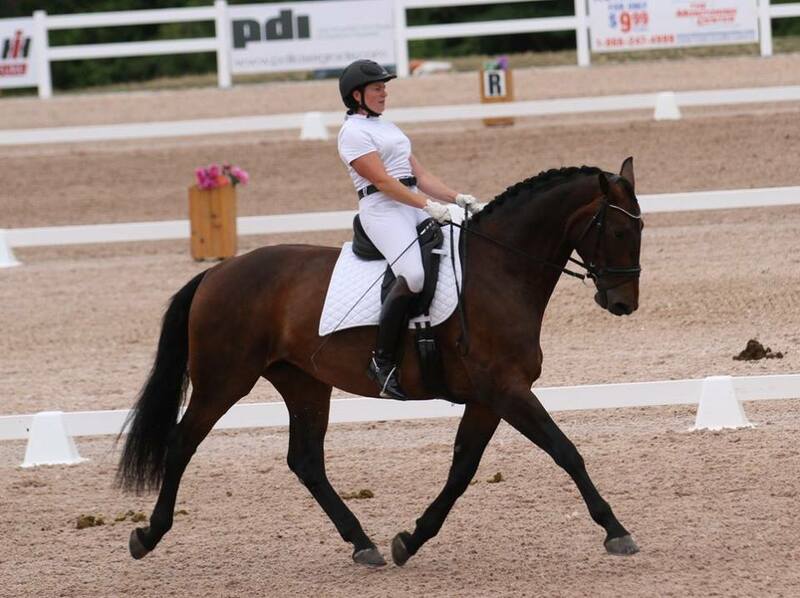 Congratulations to his new owner, an amateur dressage rider who has competed to PSG and was looking for her next partner to bring along. We are very excited to announce that we are expecting 2 exciting foals by Quaterhall in 2018! 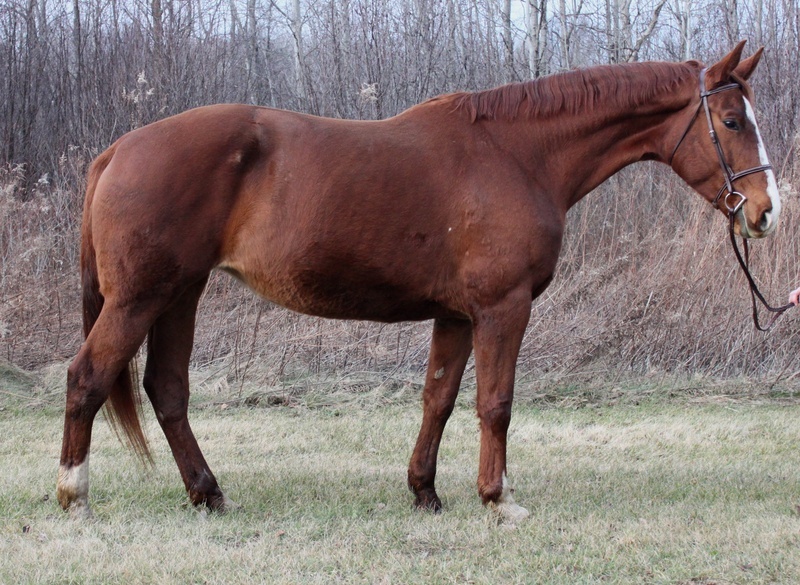 Our mare Wruby (Wellesley/Rotspon) and our mare Gold Digger (Glorioso Noir/Merlin) are both in foal to the outstanding stallion Quaterhall (Quaterback/Donnerhall). 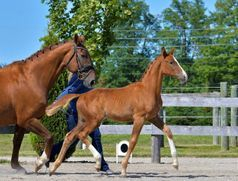 We have had 3 foals by Quaterhall and have been extremely impressed with them, the 2 presented to Hanoverian inspections have both made the top dressage foal call back ring. This is the 4th combination of Gold Digger with Quaterhall, below are photos of the 3 previous combinations. 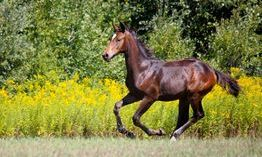 Our 2017 Quaterhall/Gold Digger filly was purchased by a professional FEI dressage rider in the USA. Gold Digger is due mid June 2018. This is Wruby's second foal, first time combined with Quaterhall. Her first foal by Sagnol (Sandro Hit/Landadel) made the prestigious call back ring for top bred dressage foal, so we have great hopes for a quality foal from this combination. Wruby is due mid April 2018. 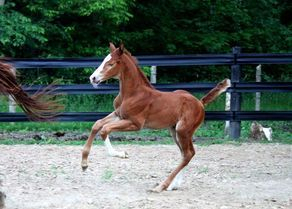 Our foals by Quaterhall have exceptional movement, with fantastic easy temperaments. 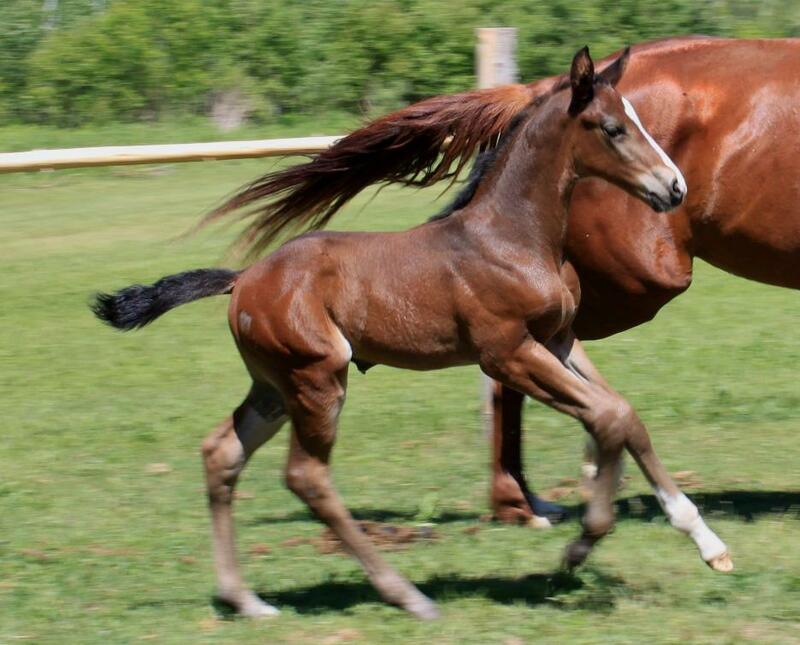 Both these foals will be for sale, inquire if interested in either of them, in utero sales will be considered. Gloria WSH and amateur owner Naomi Williams have been getting reacquainted after a couple of years apart and Gloria is really starting to come into herself. Naomi took her to a dressage show on her own, and she loaded easily, warmed up well, and handled herself in the ring calmly and quietly. They ended up winning the first level test 1 class with a score over 65%, and second place in the first level test 2 class with several rider errors (yes, several!!!). We could not be more happy with how Gloria is handling herself away from home. What a great day at the Parkwood Hanoverian inspection! 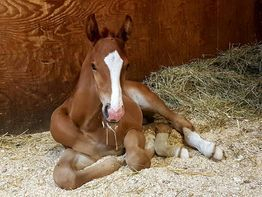 Our foal Quater Karat by Quaterhall out of Gold Digger made the top 5 dressage and hunter foal call back, and was awarded 3rd place dressage foal and also recognized as a top hunter prospect in a large group of lovely foals! It was interesting taking a newly weaned foal to inspection, but our retired mare Eclipse stepped up and brought her through the whole process in a calm, confident and loving way. She has been treating Kara as if she is her own foal. 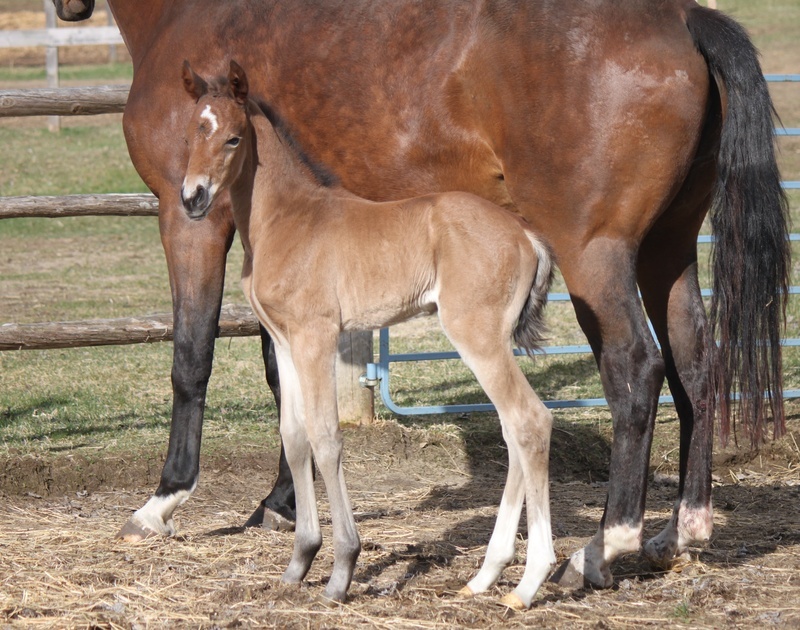 Our lovely mare Gold Digger has delivered her foal by Quaterhall (Quaterback/Donnerhall)! This filly is a big girl, healthy, correct and such a beautiful uphill mover! 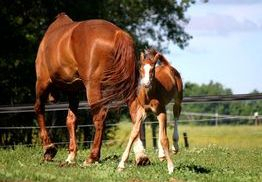 We are always relieved when our mares foal out safely and the foals are healthy and robust, we have been very fortunate this year to have both our mares safely delivered! 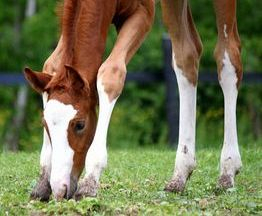 We love having our foals stay with us while they grow up! 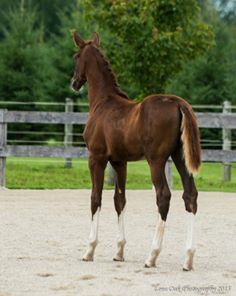 This is "Fancy This" a 2015 filly by Fabregas/Hilton GS/Wellington II, sold to a professional Grand Prix dressage rider in the USA. She will be heading to her new home this fall to be backed and start her dressage career!! It is so great to see them develop while they stay with us! This filly's full sister is available for sale, take a look at "Forastero" in the horses for sale page. Below is Sebienne by Sagnol (Sandro Hit) out of Wruby (Wellesley/Rotspon) who is a 2016 Rhineland filly. 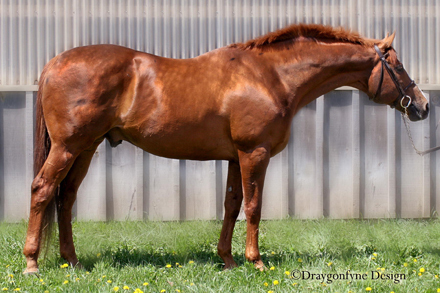 She was purchased in utero by a lovely dressage home in California. Sebienne has also been staying with us while she grows up! 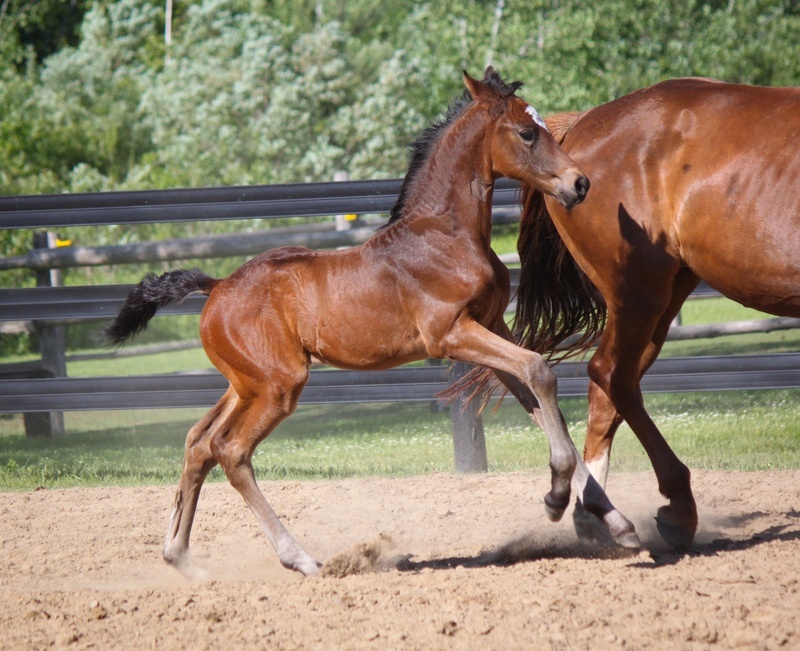 This filly has such a fantastic temperament and gorgeous movement, she placed very well at her foal inspection in a large group of impressive foals last fall, she is the whole package!! Our first of two foals has arrived!! We are so thrilled with this little man out of Cadbury by Aloha! 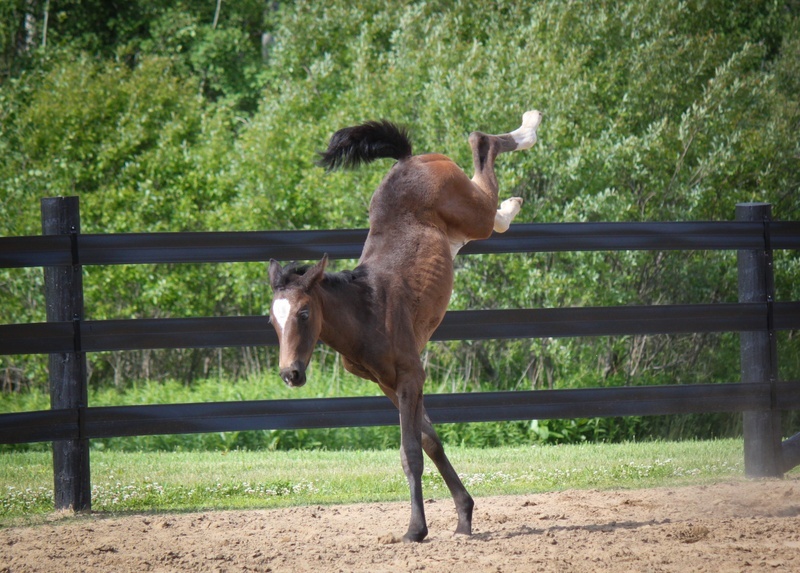 This much anticipated foal was everything we hoped for and more! Cadbury is very relieved her pregnancy is done as this boy was big! "Artwork" sold at just 6 days old to a wonderful family who plan to show him as a hunter at national shows, and we couldn't be happier that he went to such a loving show home! Godiva WSH with amateur owner Naomi Williams took part in a clinic with Justin Ridgewell and learned a lot while preparing Godiva for 3rd level. 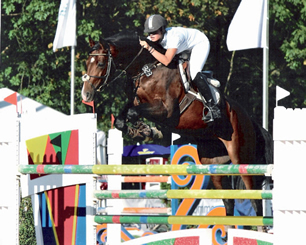 Godiva had a very successful show season last year at 2nd level and is preparing to move up. Thanks to Justin for the great advice and tips! Exciting news for us at Williams Sport Horses! We have 2 mares in foal for next spring. We love the cross of our mare Gold Digger to Quaterhall so we have repeated it, and our second mare Cadbury is in foal to Aloha. 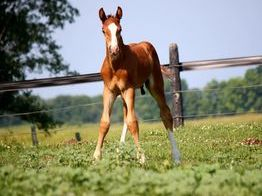 The Cadbury/Aloha foal is available for sale in utero, please inquire if you are interested. Weaning time! The foals are officially weaned and being looked after by our retired broodmare Eclipse who just adores the babies! Weaning is always a stressful time, but the foals have managed well with Eclipse looking after them. 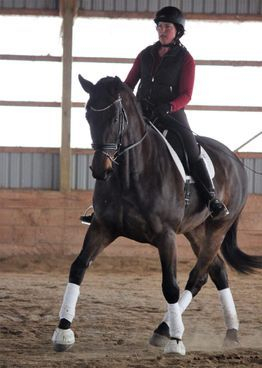 Gloria WSH is coming along beautifully and starting to really show her dressage abilities! 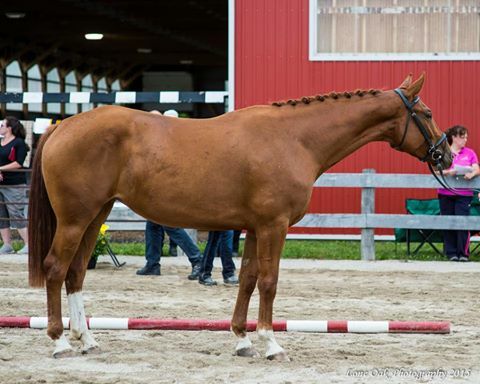 She is a 5 year old Hanoverian mare who is in her first year of showing dressage, with scores as high as 68% last weekend. Cali Radbourne of Cali Radbourne Equestrian Services has been doing a fantastic job getting her ready for the show ring. We had a very exciting day at Parkwood Stables Hanoverian inspection with our mare Wruby (Wellesley/Rotspon) and her filly Sebienne by Sagnol. Sebienne made the call back of the top 5 foals out of a very large and beautiful group of over 20 foals. The judges were very kind and commented that they loved her trot and how she uses her entire body when trotting, her feminine type and big eye, good conformation, long legs and good walk. 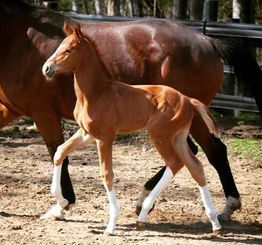 She ended up placing 3rd of the dressage foals behind some very impressive Fabregas foals. Congratulations to all the breeders on presenting some exceptional foals. Congratulations also to Sebiennes new owners, they purchased this filly in utero and are a fabulous dressage home for this special filly! 6 year old Godiva WSH qualified for provincial championships, and competed well in spite of some serious pilot errors! She finished Reserve Champion of second level. Thanks to the Ontario Equestrian Federation for sponsoring the division and Caledon Dressage for putting on a fantastic, organized and fun series! 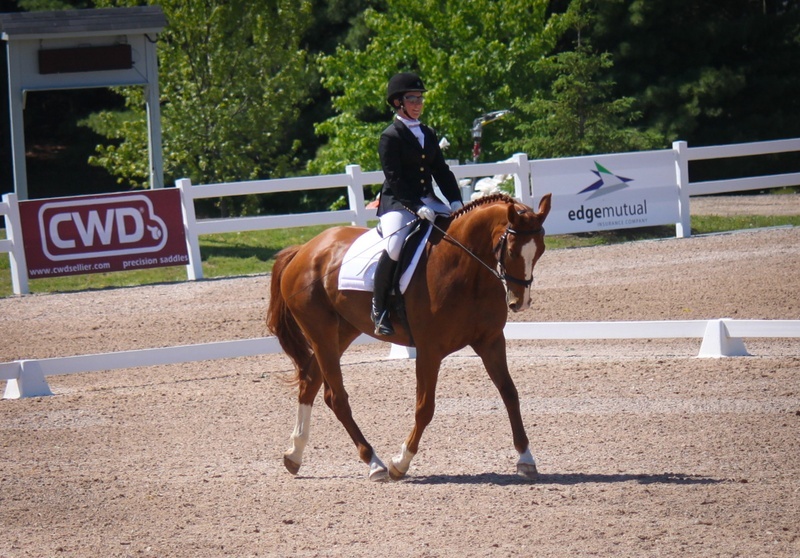 Our first bred mare Godiva WSH made her Gold Second Level dressage debut as a 6 year old at the Caledon Equestrian Park. Godiva rose to the occasion and showed her maturity, temperament and movement despite the excessive heat warnings all weekend (40 degrees Celsius, for our American friends that's 104 degrees Fahrenheit!) and overwhelming new environment for her. We couldn't be more proud of this mare and her work ethic. She won a class and finished Reserve Champion for the weekend in a very competitive group! Godiva is by Glorioso Noir out of our foundation mare Eclipse (Ehrentusch), pictured below in travers and lengthened trot. Our final foal for the year has arrived safely! We couldn't be more thrilled with this gorgeous colt by Quaterhall (Quaterback/Donnerhall) out of Gold Digger (Glorioso Noir/Merlin)! He is a big bodied boy with a lot of bone, beautiful uphill movement, and a ton of chrome as a bonus! 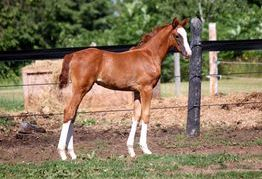 The future for this boy is very bright, we expect this colt to be an FEI dressage star. 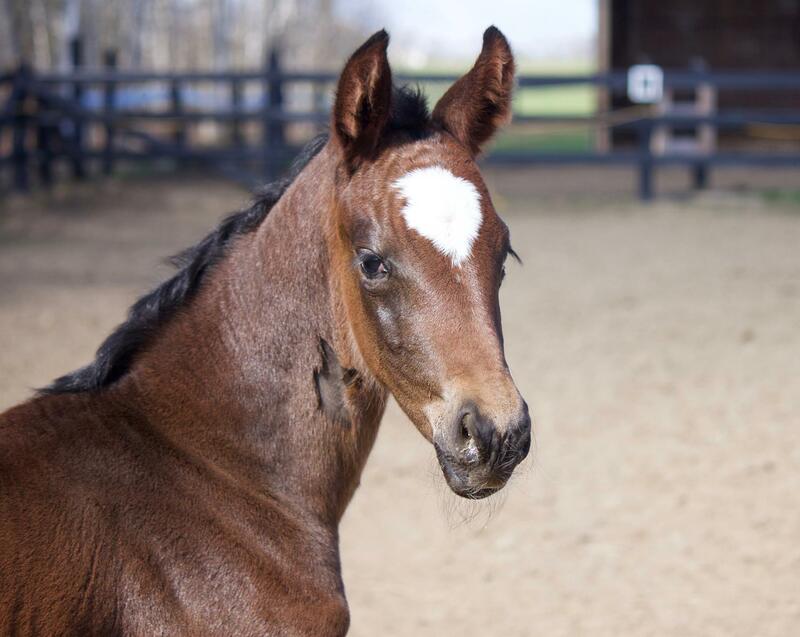 We are very happy with how the foals are developing so far this year! Pictured here is 5 week old Fabregas/Cadbury filly and 4 week old Sagnol/Wruby filly. These filly's are full of life! 5 year old Gloria WSH made her Gold Dressage debute with Cali Radbourne this weekend in the Training Open division, with great results . They finished reserve champion in the division with very consistent scores. 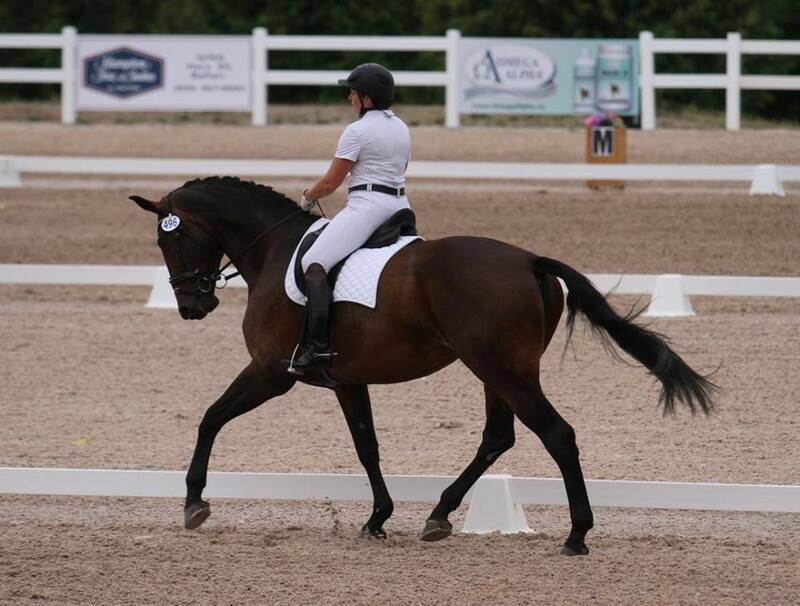 This was Gloria's first time showing at the Caledon Equestrian Park in Palgrave, so we are thrilled with the results at such a big venue, with many distractions around! Special thanks to Cali for doing such a wonderful job riding and presenting her. 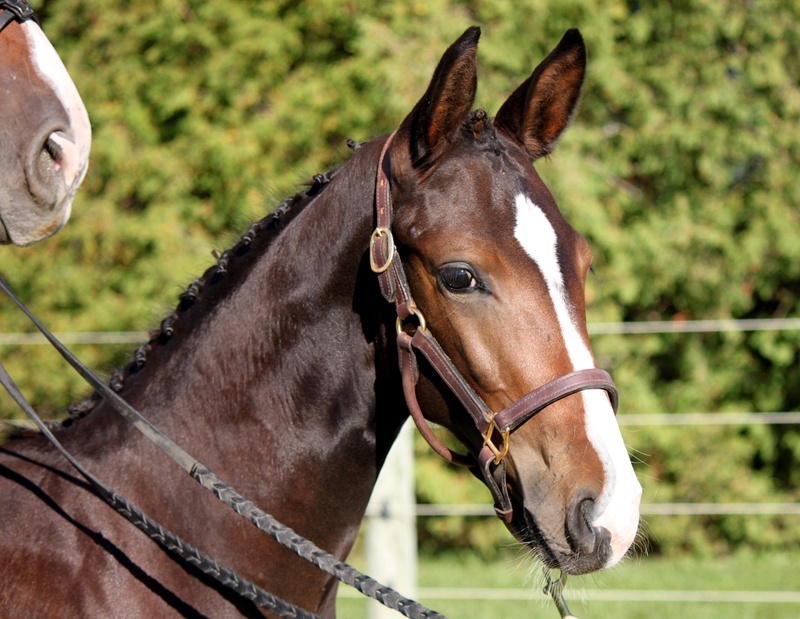 Gloria is available for sale, inquire if you're looking for a young dressage horse! Our second foal of the year has arrived! She was a couple of weeks late, and a very difficult delivery for her maiden mother Wruby, but is a powerful and big moving filly. This filly is by Sagnol (Sandro Hit) out of Wruby (Wellesley/Rotspon) and unfortunately they spent the first week in hospital, with Wruby recovering from the traumatic birth. They are both now home safe and sound, with a clean bill of health! Thanks to Dr Patrick Hearn and the wonderful team at Milton Equine for the extraordinary care she received. We are thrilled that our 2016 foal out of Cadbury by Fabregas has arrived safely! Both mom and baby are doing very well, with an early but otherwise uneventful foaling. 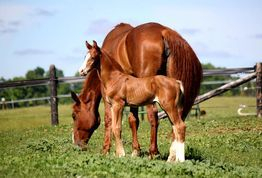 Cadbury is being a super mom, and the little filly is strong and healthy! With 2 more foals to come this season this has been a fantastic start! 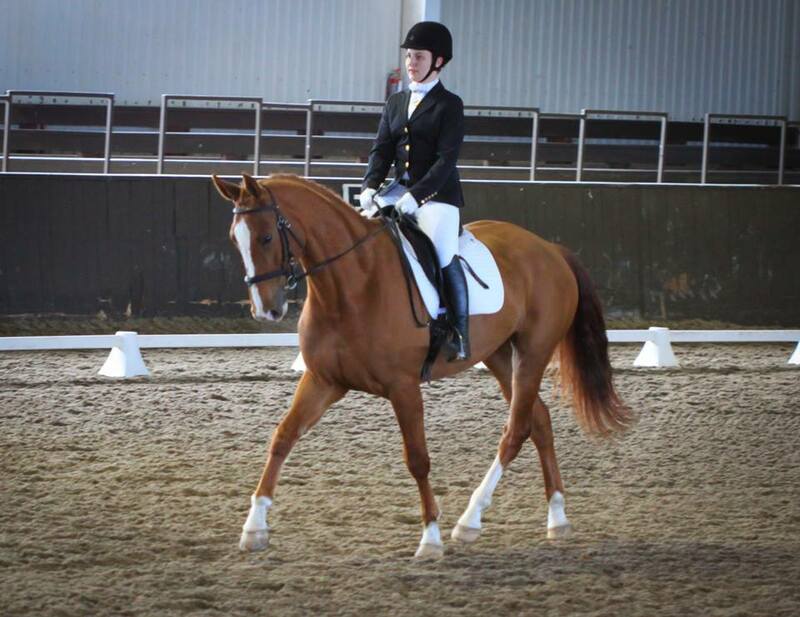 Rising 5 year old Gloria WSH is now in professional training with Cali Radbourne and getting ready for her dressage debut in the summer of 2016. 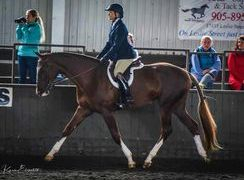 Cali took Gloria to a bronze show for some experience, and had a successful outing. Gloria got a lot of great life experience, and even placed 2nd in one of her classes in the open division. Rising 6 year old Godiva WSH also went, ridden by Naomi Williams and won her first class, and placed second in the second class, finishing reserve Champion in the second level open division for the weekend. There is still a lot of preparation to be done for this upcoming show season, but we are very pleased with how the ladies did on their first outing this year. Pictured below is Gloria WSH and Cali Radbourne. We are very proud of our first bred mare Godiva WSH. 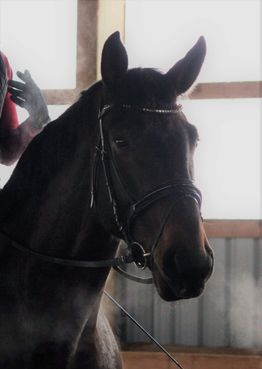 She is a 5 year old Hanoverian mare by Glorioso Noir/Ehrentusch who was season Champion in the Caledon Dressage series, ridden by amateur owner Naomi Williams. 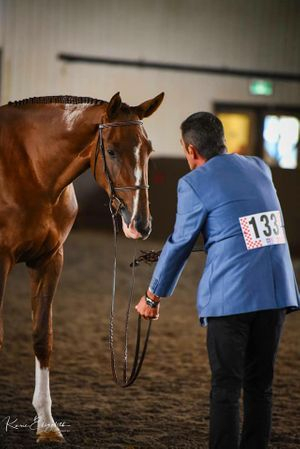 This mare won multiple classes through the season, and scored as high as 70% in First Level, and as a result also earned her bronze medal at First Level with Dressage Canada. 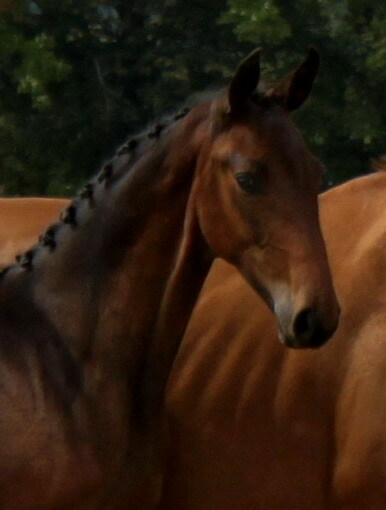 We are excited about the future for this lovely amateur friendly mare. Many thanks to Inga Hamilton for her coaching throughout the season, it most certainly would not have been possible if it wasn't for her expertise. Thanks to Bahr Saddlery for the beautiful cooler! What a great breeding season we had! All 3 mares that we bred have been confirmed in foal. We loved both foals we produced in 2015, so repeated the combinations for 2016, and now have Wruby/Wellesley out of a Rotspon mare to add to our broodmare line up. Wruby (Wellesley/Rotspon) is due first in mid April 2016, and we crossed her to Sagnol (Sandro Hit/La Belle) for a top dressage prospect. Next Cadbury (Hilton/Wellington II) is due late April 2016 and she is in foal to Fabregas (Florencio I/De Niro) for a full sibling to her 2015 foal Fancy This. Last we have Gold Digger (Glorioso Noir/Merlin) due mid June 2016 in foal to Quaterhall (Quaterback/Donnerhall) for a full sibling to her 2015 filly Quater Twist. 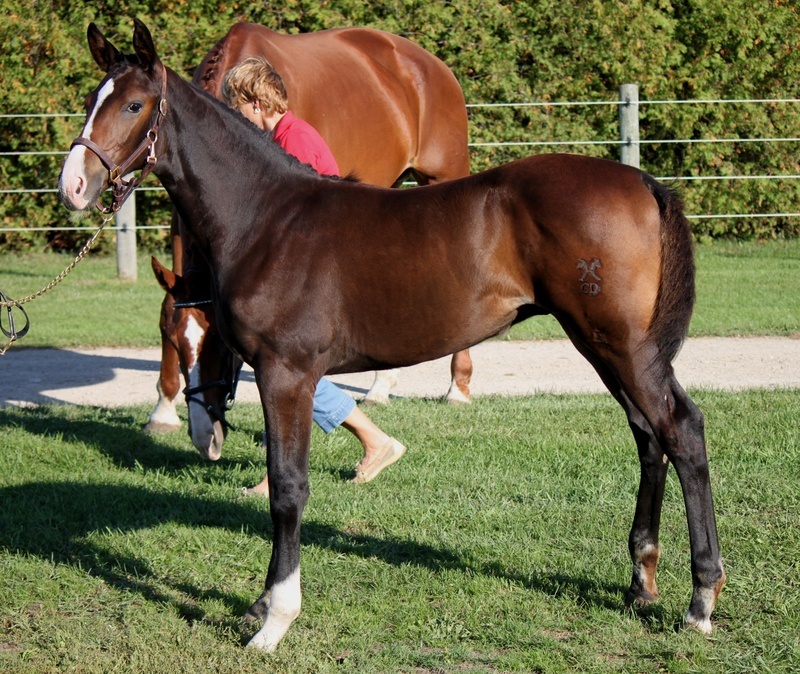 Wruby's foal will be dark in colour, bay or black, and is available for sale in utero. If you're interested in her foal please contact us. Cadbury's foal can be either bay or chestnut. 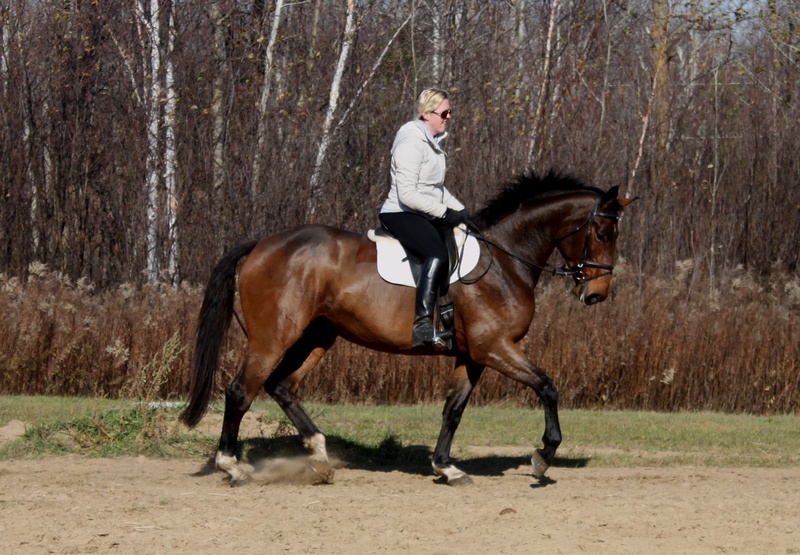 Cadbury was passes on fantastic uphill gaits and lovely conformation, which is sure to result in a top dressage star. 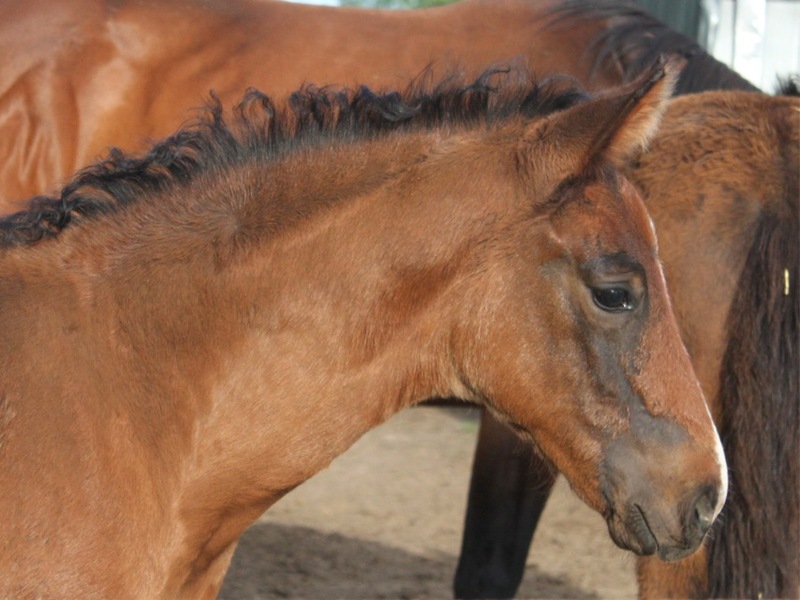 Her foal is available for sale in utero, please contact us if you're interested in purchasing in utero. Gold Digger foal will be chestnut, and is a full sibling to this years filly Quater Twist. This filly has exceptional elastic movement and is as flashy as anyone could hope for. 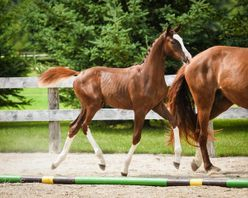 Take a look below at a few pictures of Quater Twist, this foal is available for sale in utero. We are thrilled with the results from the Canadian Hanoverian inspection we attended with 2 mares and 1 foal this weekend. 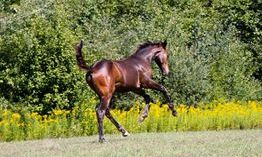 Our very own Gloria WSH by Glorioso Noir out of Monika/Merlin was approved for breeding with compliments on her big movement. 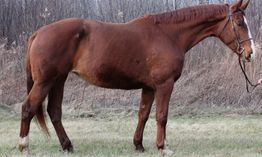 Wruby by Wellesley out of a mare by Rotspon was also approved for breeding with compliments on her type, pretty head and elastic movement. Our foal Quater Twist by Quaterhall out of Gold Digger/Glorioso Noir received top marks and made the call back ring for top dressage foals. We couldn't be happier with the weekend and results. 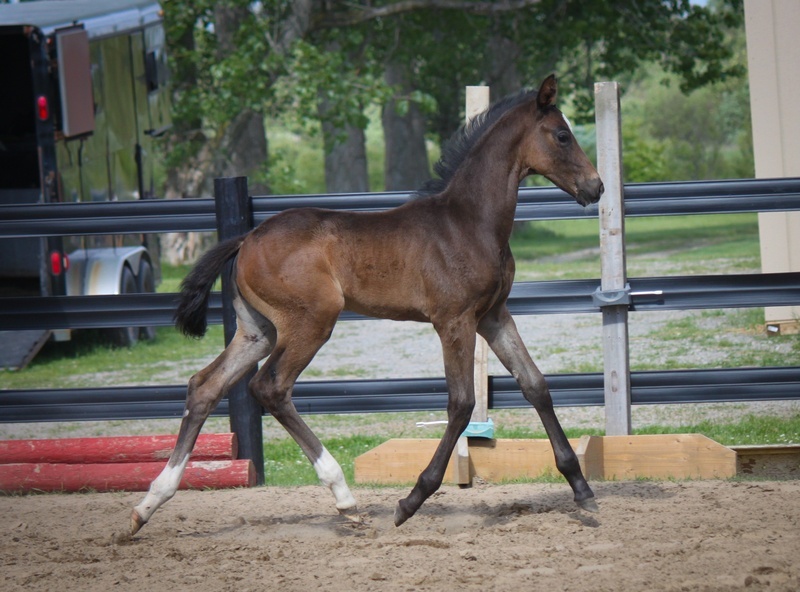 Our second Hanoverian foal has arrived! 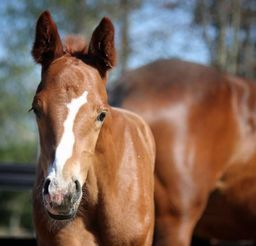 We are very excited to announce the birth of "Quater Twist" by Quaterhall, out of Gold Digger. One look at this little one's face and her name jumped out at us. 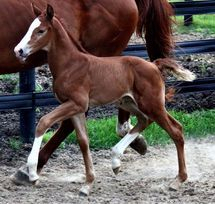 This beautiful filly is tall with exceptional movement and has all the chrome you could hope for! With a pedigree including Quaterback and Donnerhall, we expect great things from this lovely filly! 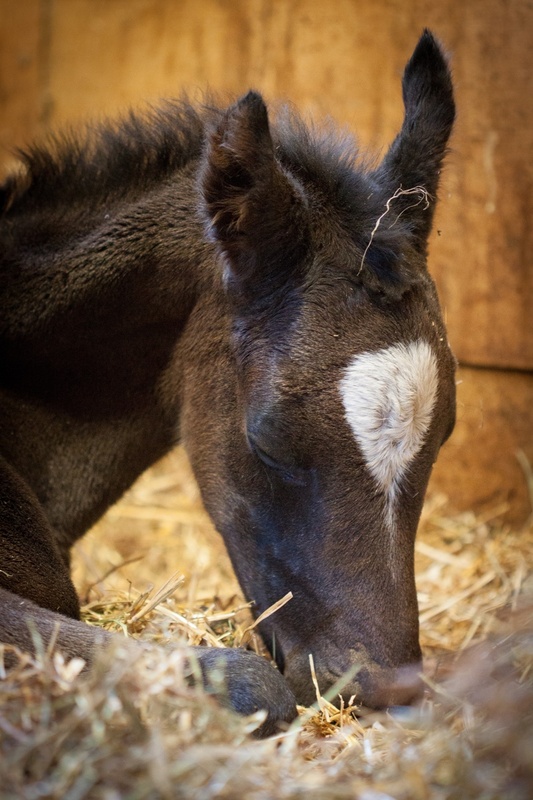 Welcome to the world pretty little filly! Our lovely Canadian Warmblood mare Cadbury (Hilton/Wellington II) delivered a gorgeous filly by the fantastic dressage stallion Fabregas(Florencio I/De Niro). 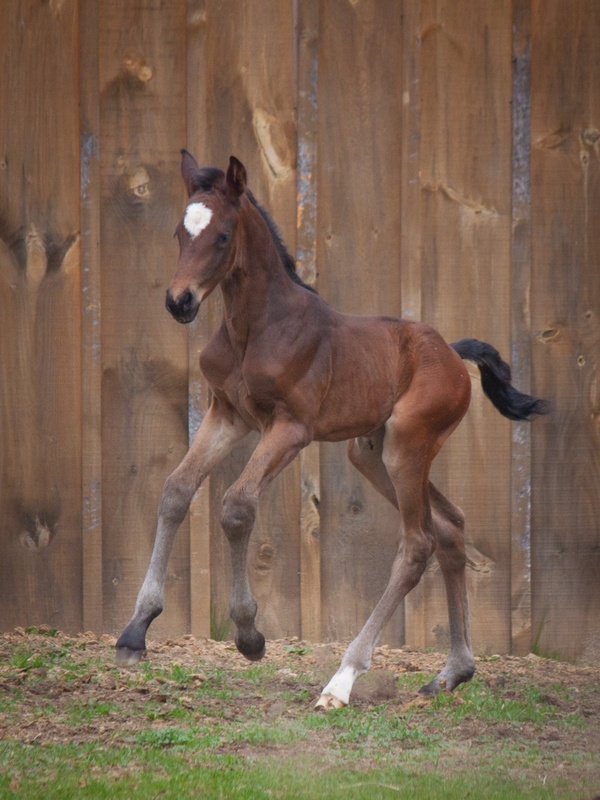 Pictured here at just 3 days old, this filly shows a great topline, correct conformation and uphill elastic movement. 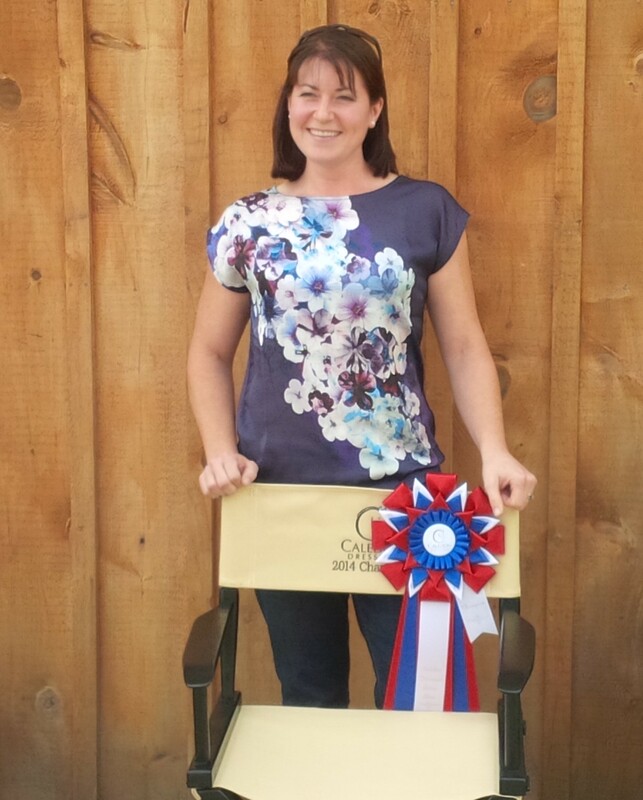 Our very own Gloria WSH finished 3rd in the Lieutenant Governors Cup Class at the Royal Agricultural Winter Fair! What an accomplishment for this beautiful mare who was up against a very competitive group of 22 of the top qualified sport horse prospects! We couldn't be more thrilled with Gloria's results and her behavior while showing at the Royal, a very overwhelming environment for such a young horse, but she handled it like a pro. 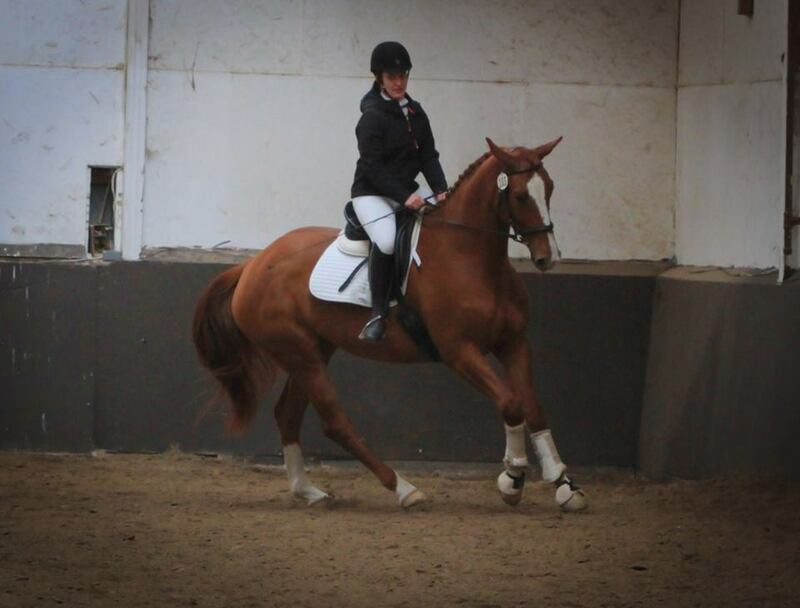 Gloria is available for sale, take a look at our horses for sale for more information on this lovely mare. We were very excited to find out that our first bred foal Godiva WSH was season Champion of the Caledon Dressage Silver Series as a 4 year old, with scores up to 75.5%, and winning 9/10 classes she entered! We are extremely happy with Godiva's achievements, temperament and ridability, and look forward to moving her up after this winters training. Special thank you to Inga Hamilton for coaching this season, her keen eye and knowledge of starting youngsters has truly made the process fun and easy for Godiva. 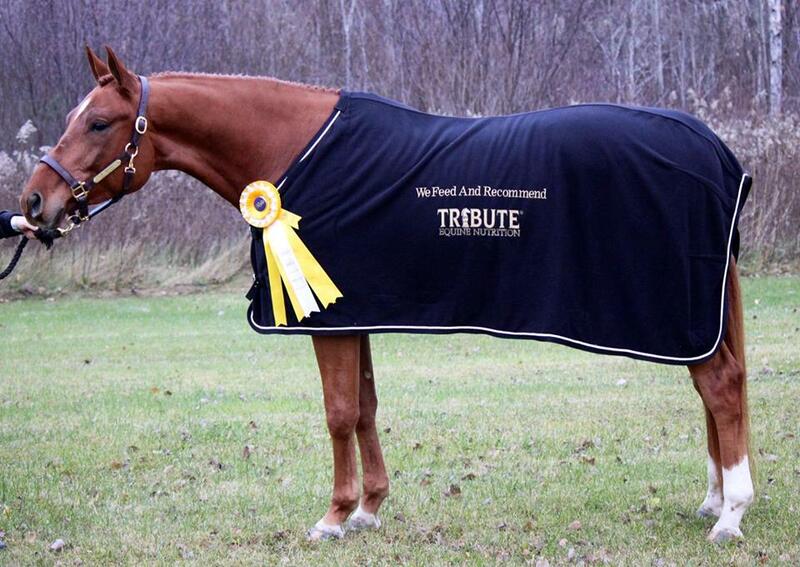 Thanks to Caledon Dressage for always running such beautiful events, having great staff and wonderful prizes. What a great show season! What a beautiful fall day for taking pictures of this years foals! It's hard to believe the foals are already 4.5 and 5 months old, and it reminds us that next years foals are not that far away. Pictured below is the lovely chestnut filly Forget Me Not by For Edition out of Gold Digger by Glorioso Noir, and the handsome dark bay colt by Don Frederico out of Eclipse by Ehrentusch. We are very excited about next years foals, Gold Digger is in foal to Quaterhall, and Cadbury is in foal to Fabregas. 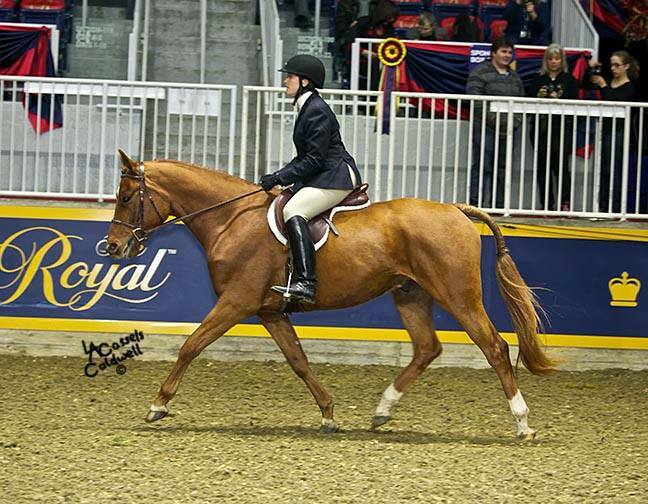 Gloria WSH was perfectly behaved at the second cup class qualifier and qualified to compete in the Lieutenant Governors Cup Class at the Royal Agricultural Winter Fair. We are so proud of Gloria and are looking forward to showing her at the Royal! Mr Marvelous our 4 year old hunter prospect had a fantastic first year showing! Not only did he qualify for the provincial Trillium championships in the hack division against a large group of competitive horses with a lot of show experience, but he placed 2nd in the Road hack, 2nd in the Show Hack, and 5th in the Pleausure Hack against 33 of Ontario's top horses. We couldn't be more proud of Mr Marvelous, he showed consistent results throughout the season and became a seasoned show horse very quickly. Marv is available for sale, but is being prepared for his debut on the A circuit next season over fences. 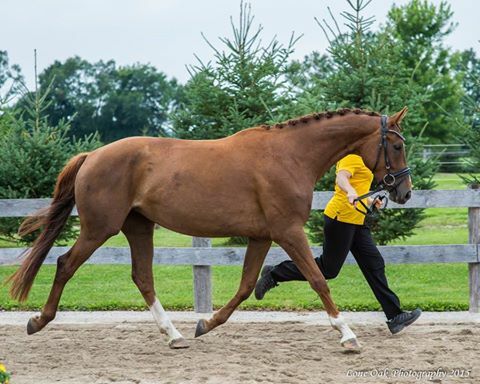 We are thrilled to announce that Godiva WSH, Williams Sport Horses first bred foal, completed her performance test for the Hanoverian Society, and met all the requirements to be approved for breeding. 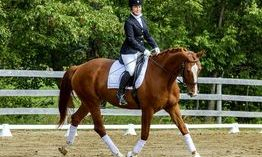 Godiva will continue her career as a dressage horse for the time being. Both of our four year old horses had great first shows this season. Godiva WSH won both her classes in a training level silver show with very positive feedback from the judges. Mr Marvelous won his first class in the hack division at a trillium show, with remarks from the judge about his gorgeous movement. We are very proud of both our youngsters who showed great confidence, calm attitudes, and perfect behaviour at their first outings. Mr Marvelous is offered for sale, please see our sales page for more info. 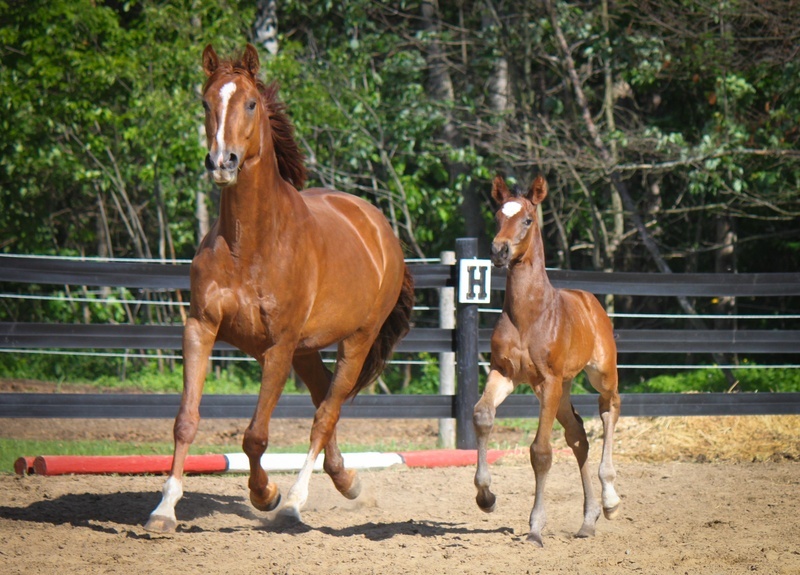 Both of our 2014 foals have now arrived healthy and happy! 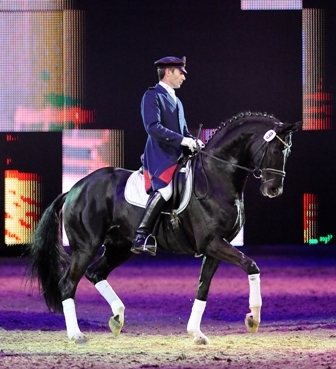 We are thrilled with the results of our crosses with German based Hanoverian stallions Don Frederico and For Edition. Our colt by Don Frederico is offered for sale, please see our sales page for more info. We are very excited to announce our stallion selections for this year. 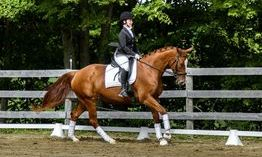 We chose German Hanoverian stallions that will bring out the best qualities of our mares, as we strive to produce top Hanoverian athletes bred for the competition ring. Quaterhall, Fabregas and Dancier are exceptional stallions that will compliment our mares to produce upper level prospects. Mr Marvelous had a great day at the Royal Agricultural Winter Fair and placed 4th in a very competitive group of horses in the Lieutenant Governor General's Cup class! Marv did a wonderful job and has a bright future in the show ring. 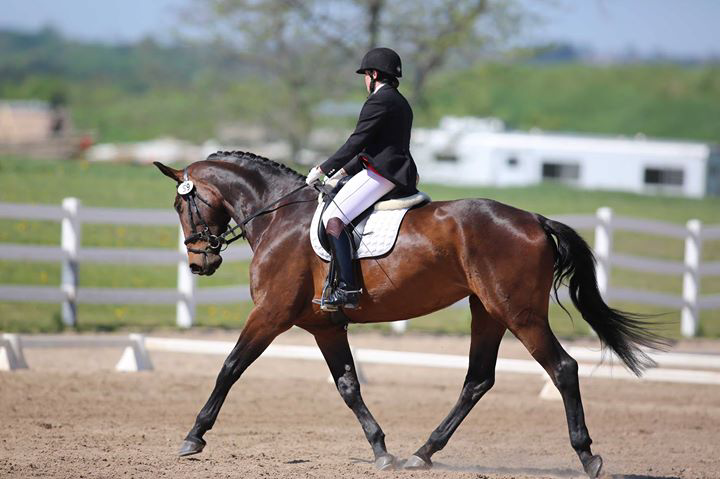 Mr Marvelous our 2010 Trakehner gelding has qualified for the Lieutenant Governor General's Cup class, held at the Royal Agricultural Winter Fair! He placed 5th and 7th in the two qualifiers in a very competitive group of horses! 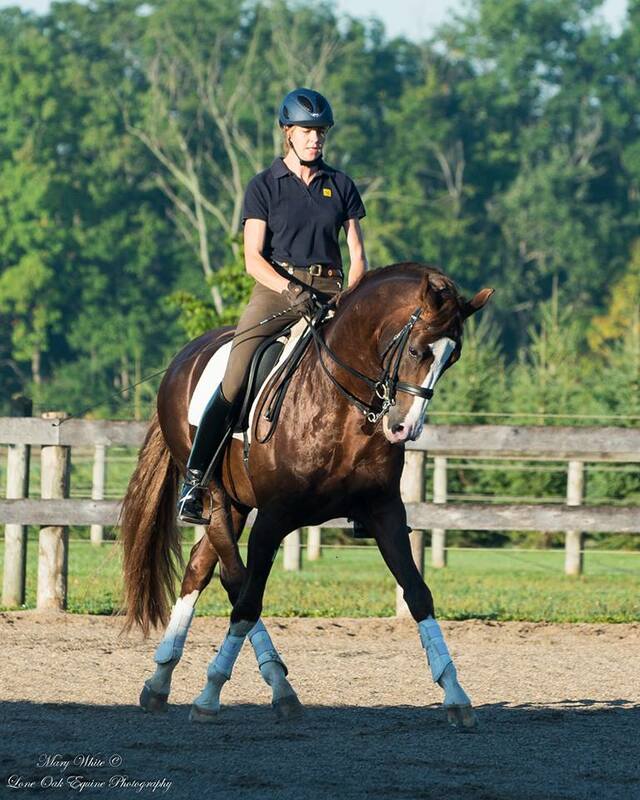 We are thrilled to announce that both of our mares are in foal to German based Hanoverian stallions for 2014 foals. 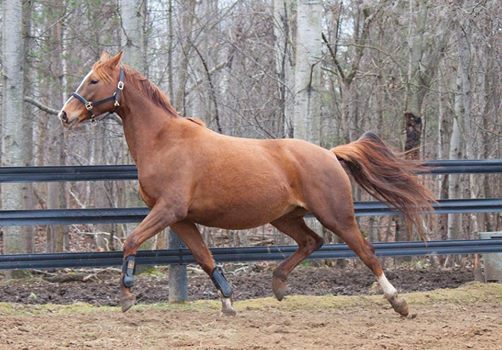 Eclipse by Ehrentusch is back in foal to Don Frederico for a May 2014 foal, and Gold Digger by Glorioso Noir is back in foal to For Edition for a June 2014 foal. 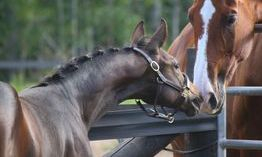 Both foals will be registered and branded Hanoverians. We are excited about these combinations that should bring out the best of our mares, with fantastic pedigrees, destined for success. 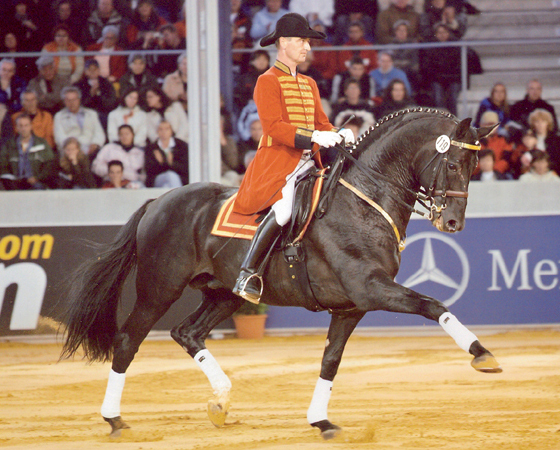 Don Frederico is legendary and known for passing on his outstanding movement, he was named Hanoverian stallion of the year in 2012 because of the great success of his offspring. For Edition is unfortunately no longer being shipped into Canada so this may be our last foal of that combination. 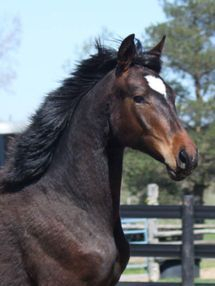 For Fremont was our 2012 foal from this combination, take a look at our sold horses page for photos of this beautiful boy. Our lovely colt by Don Frederico out of Eclipse by Ehrentusch is looking fantastic, with his uphill movement and remarkable topline, this handsome boy is sure to be a star in the dressage ring! Pictured here at 6 weeks old. 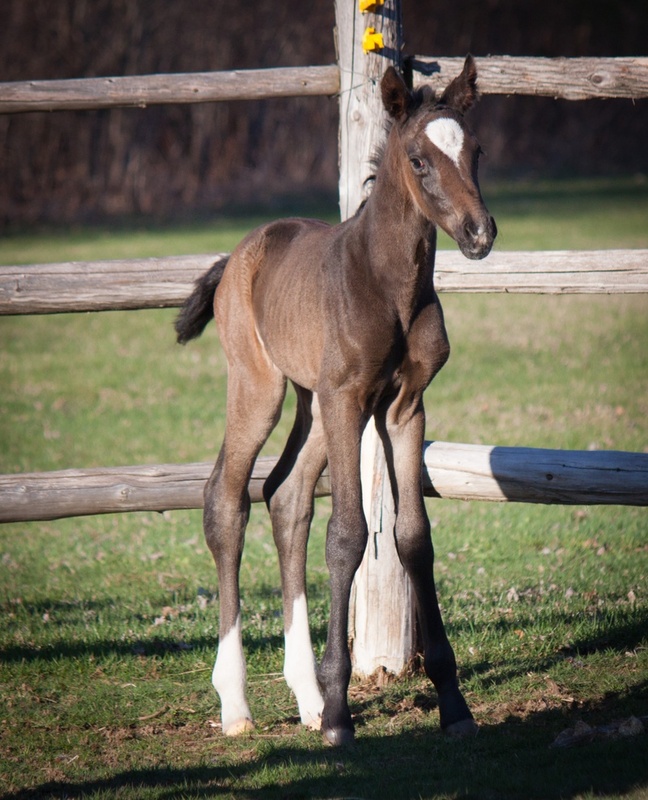 Eclipse by Ehrentusch has delivered a gorgeous colt by Don Frederico! We are thrilled with this cross resulting in an outstanding colt who is a light uphill mover, with a beautiful head and neck, conformationally correct, and a lovely personality. He is offered for sale, inquire if interested. Welcome to the world Galileo! Monika by Merlin has delivered a lovely colt by Glorioso Noir. This boy was taking his time to see the world, and Monika is very relieved. Galileo is happily bouncing around enjoying life! He is offered for sale, inquire if interested. 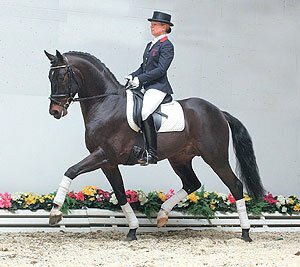 Don Frederico has been named 2012 Hanoverian Stallion of the year by the German Hanoverian Verband! 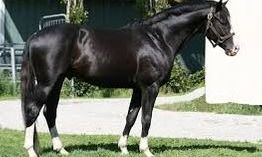 Don Frederico has been a very successful sire of many international sport horses, and has an impressive 25 licensed son's, and 178 state premium mare daughters. We are very fortunate to have our imported Hanoverian mare Eclipse by Ehrentusch in foal to Don Frederico for an April 2013 foal! 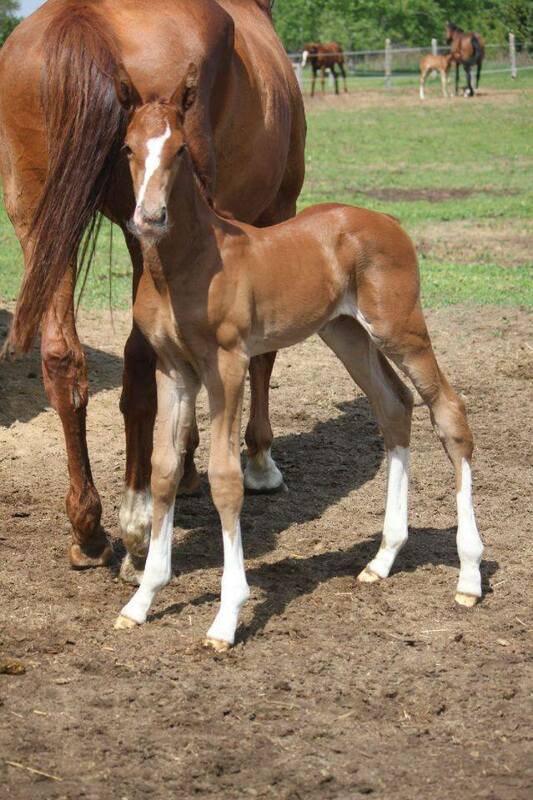 This foal is available for sale in utero, colt option only, inquire if interested. 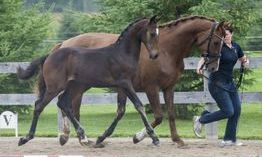 Our 2012 Hanoverian foal by For Editon out of Gold Digger went to the Canadian Hanoverian Society inspection at Parkwood Stables. For Fremont received very positive comments from the judges and a score of 8 for movement, and 7.5 for type. 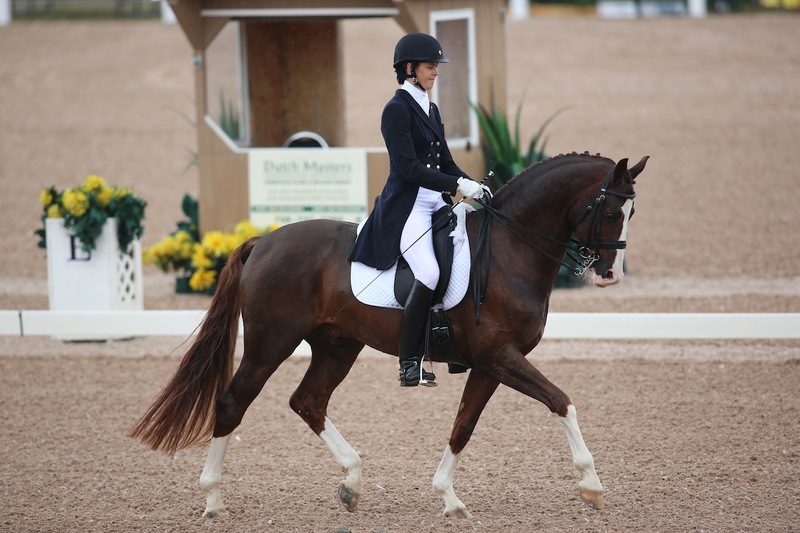 Fremont is available for sale to a show home, please inquired if interested. 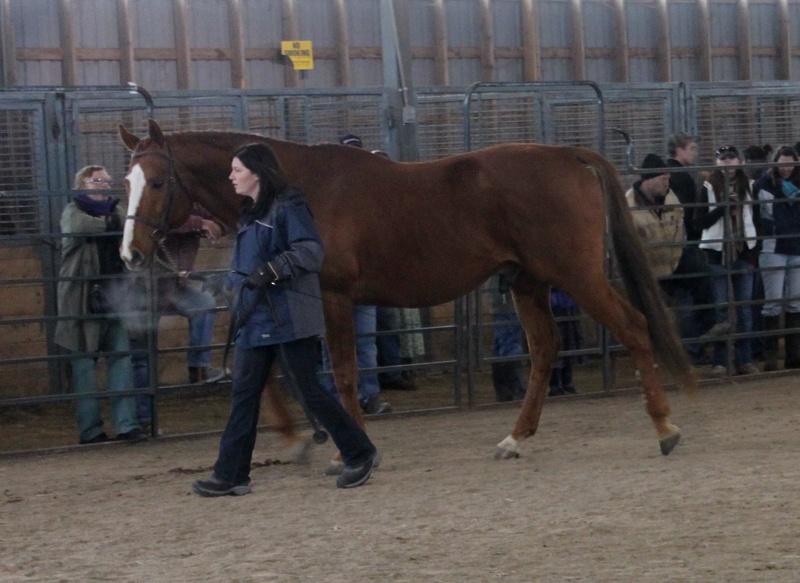 We are extremely excited to announce that 2 of our broodmares are now confirmed in foal for 2013! Monika by Merlin is back in foal to Glorioso Noir as this combination has produced such outstanding foals. Eclipse by Ehrentusch is confirmed in foal to Don Frederico and should produce an exceptional upper level dressage prospect. 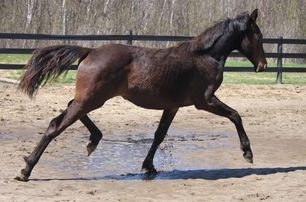 Monika is available for sale in foal, or can be purchased without her 2013 foal if interested. Eclipse's foal is also available for sale in utero at a reduced price, colt option only, live foal guarantee. Payment plans are available. One of our Hanoverian broodmares Gold Digger delivered a beautiful, correct and flashy colt by the German Hanoverian stallion For Edition. 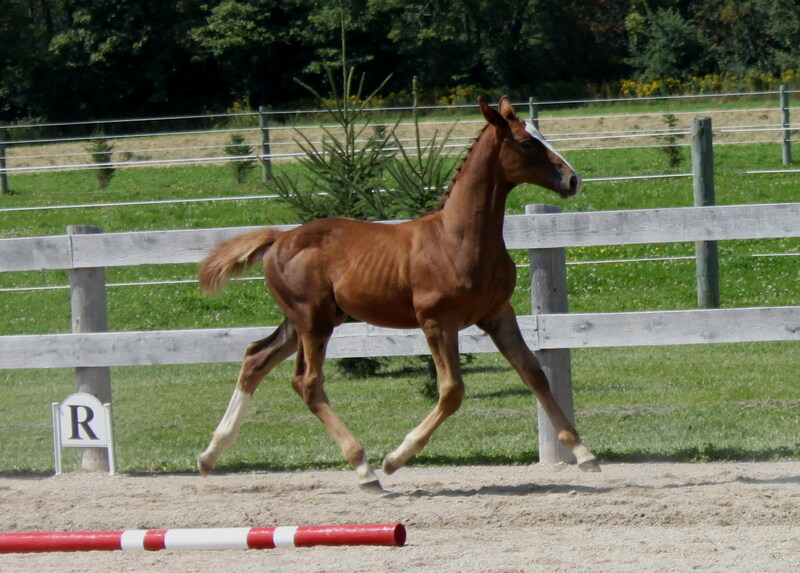 This boy will make a wonderful upper level dressage or jumper prospect with his exceptional bloodlines. 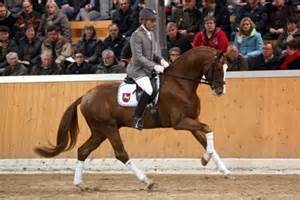 His sire For Edition was the convincing winner of the 2003 performance test at Adelheidsdorf. 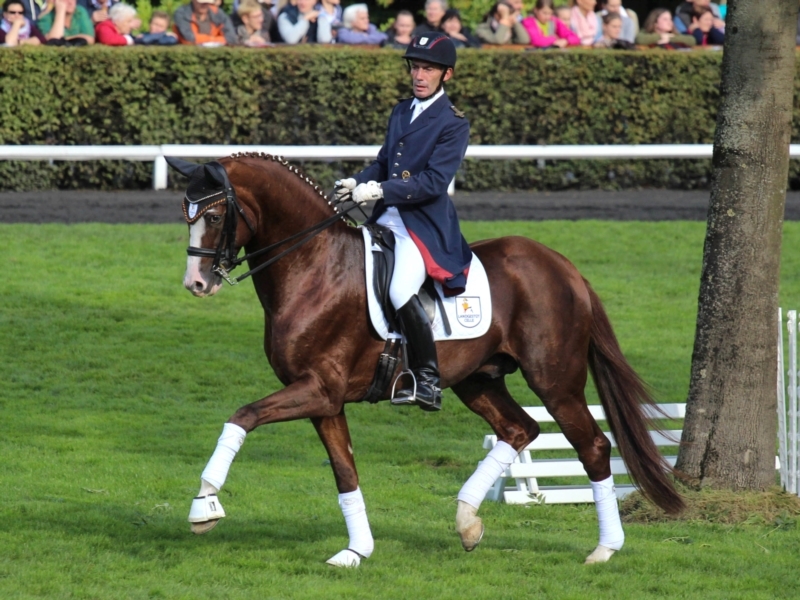 For Edition was second in the jumping component with a jumping index of 134, and third overall in the dressage component with a dressage index of 132. This combined gave him the lead with a total index of 147.8, a massive eight points ahead of the second horse. He is known for his refining influence and produces superior athletes. 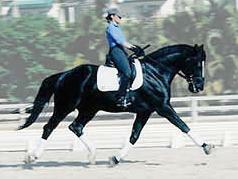 Come meet Karen Theimer RMT in person at the Blue Star Farm bronze dressage show on May 20, 2012! 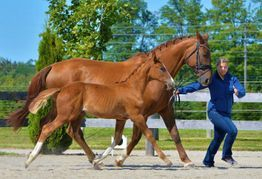 She will have a booth and be available to discuss how she can help you improve your riding and posture, and demonstrate some of her techniques and treatment options. See our page Rider Massage Therapy for more information on how Karen can help your riding! We are thrilled to have purchased a new mare, Cadbury. 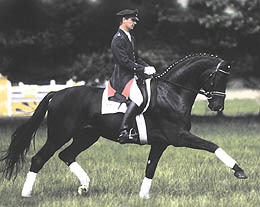 Cadbury is by Hilton, and her dam sire is Wellington II. 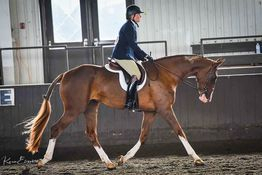 This mare is an exceptional mover, look out for her in the dressage ring in 2012! 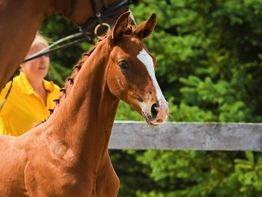 Our 2011 foals were inspected and branded during the Canadian Hanoverian Society tour, both foals are now registered and branded. 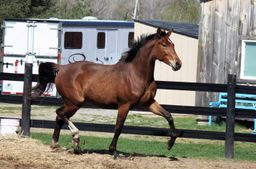 See our 2011 Hanoverians for sale page for more photos and information on these lovely prospects. Congratulations to Camille Roylance and Farclo Lancelot! Camille and Lance won the North American Sport Pony Star Search hunter suitability class to qualify to compete at the Royal Agricultural Winter Fair! Camille has been paired up with Lance for 2 months, and this is only her first full year competing! Congratulations to Maggie Duffy and Farclo Lancelot! This beautiful pair won a sixth place ribbon competing at the CNE in a very competitive sport pony class with over 30 competitors! 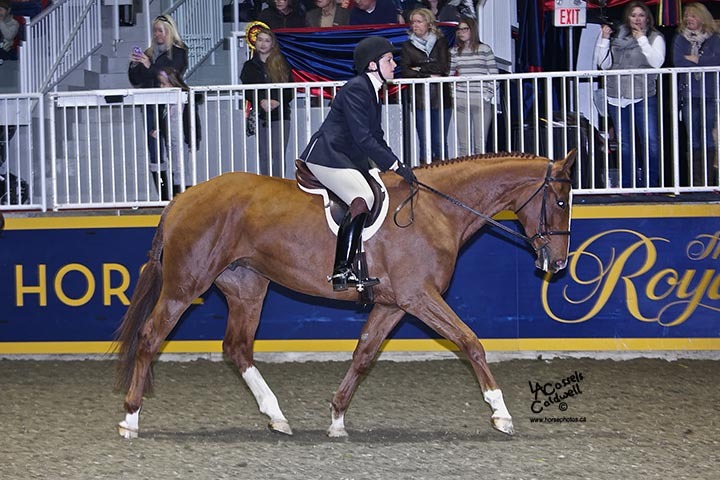 Maggie had only riden Lance 4 times before the show and did a fantastic job with Lance! 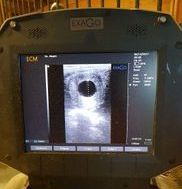 We are excited to announce that two of our broodmares are confirmed in foal for 2012! 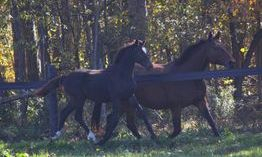 Our 2012 foals are sure to be exceptional by two phenomenal European sire's, Don Frederico, and For Edition. 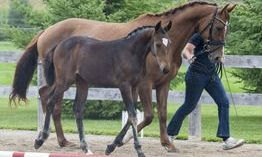 If you're interested in the in-utero purchase of either of these foals, we offer a live foal guarantee, and payment plans, inquire for details. 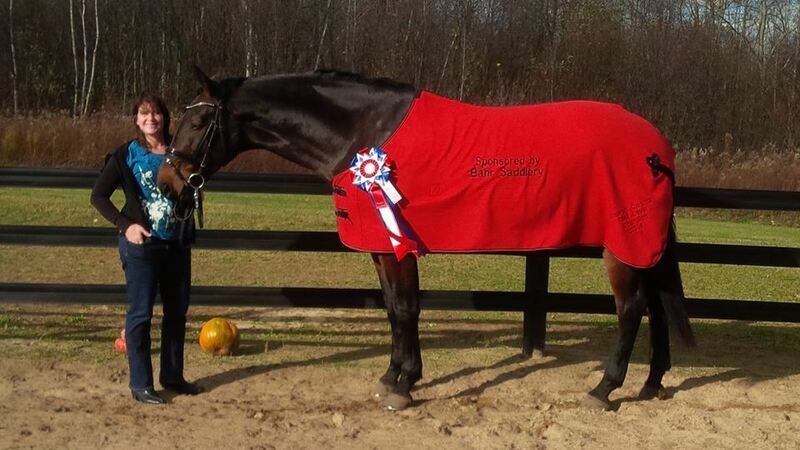 Congratulations to Cassie Gourley who purchased Luke from Williams Sport Horses in the fall of 2010. After the winter of training, Cassie has taken Luke to several events already, and recently upgraded to Pre-Training with Luke who was a very green but enthusiastic jumper. We wish you continued success Cassie and Luke! 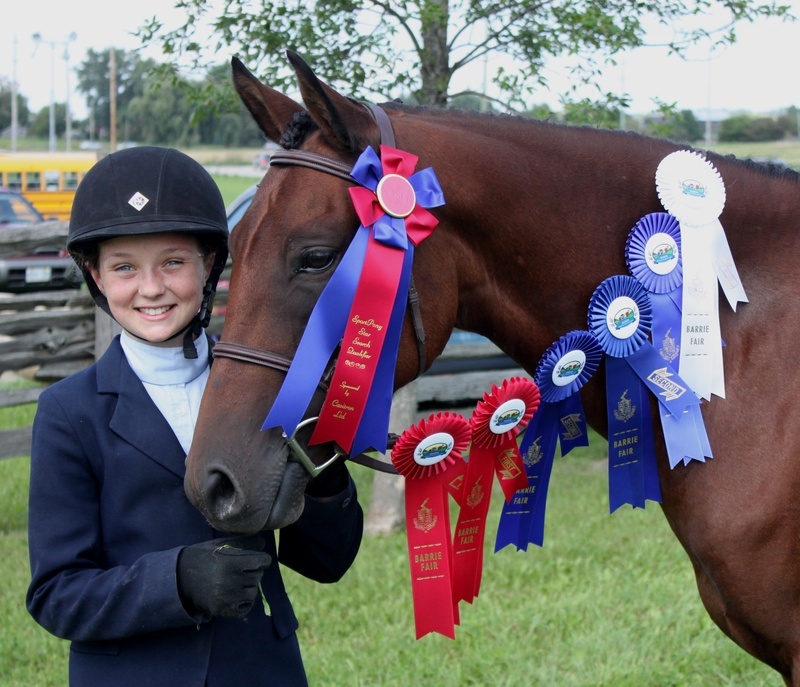 On May 29 Teya and Maggie competed at Foxhunter and won 2 classes! 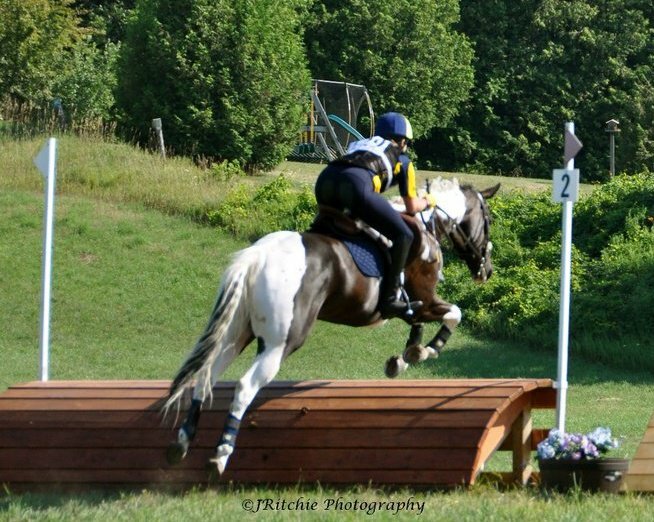 Maggie was purchased from Williams Sport Horses in the summer of 2010, and after a winter of working together, they made their debut performance and won 2 classes. Congratulations to Teya and Maggie on their first show together, all the hard work paid off, well done!!! Harvest Moon went to Carson's Stallion Parade on March 19/11. The parade was very well organized with many quality stallions there, what a great day! Harvest Moon is going to Carson's Stallion Parade! Harvest Moon will be heading to the Carson's horse auction on March 19, 2011 for the stallion parade. 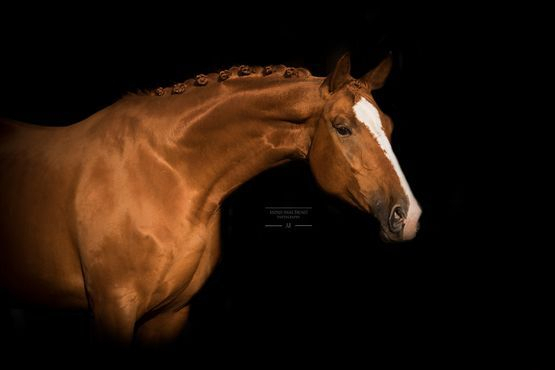 Feel free to come by his stall to meet him in person and ask any question you may have about our fantastic stallion. 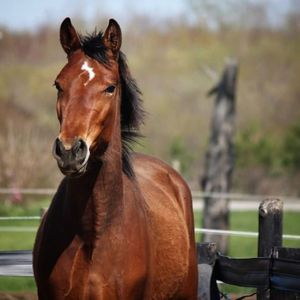 He was recently registered with the American Appendix Horse Association, so his foals are now eligible for registration if he is bred to Quarter horse mares. April 2010: WSH is proud to present Godiva WSH, by Glorioso Noir, out of Eclipse, born April 2010. 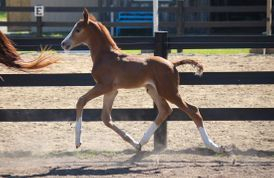 We are so pleased with this foal that Eclipse has been bred back to Glorioso Noir for a July 2011 foal.